Our nursery staff can help find the perfect plants for you every day of the week. If you need design help but want to install the plants yourself, try our "We plan, You plant" service. It's best to provide a few pictures and some rough dimensions for our nursery staff, to make the design process easier and more accurate. We begin by drawing a rough sketch of your landscape. Then we gradually fill in the empty spaces with plants that will fit both your personality and the surrounding environment with respect to size at maturity, deer tolerance, drought tolerance, sunlight and soil requirements, et cetera. Once a basic design is agreed upon, our staff members will walk you through the nursery and hand-pick the best plants for your yard. 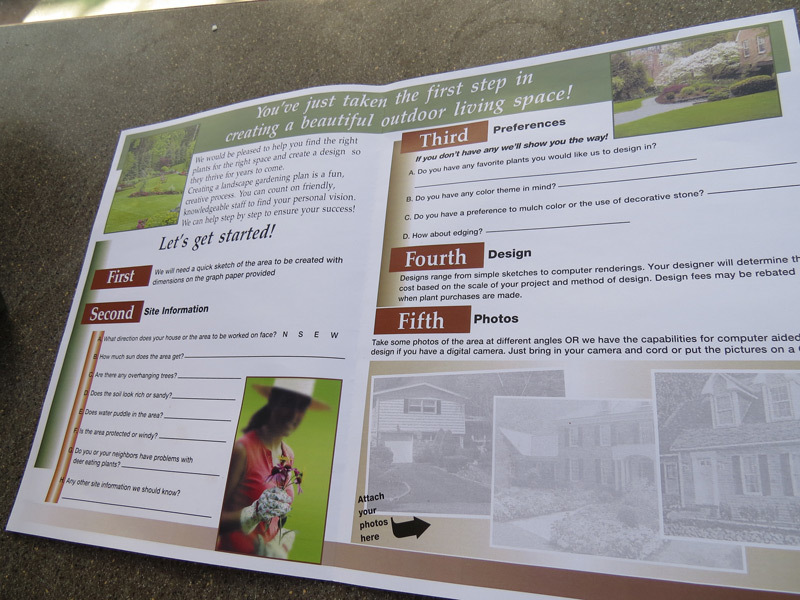 Along the way we will provide helpful information on installing and maintaining your landscape as well as on the individual plants. The Garden Barn sales team will help you from the moment you walk in until the last plant is loaded in your car. 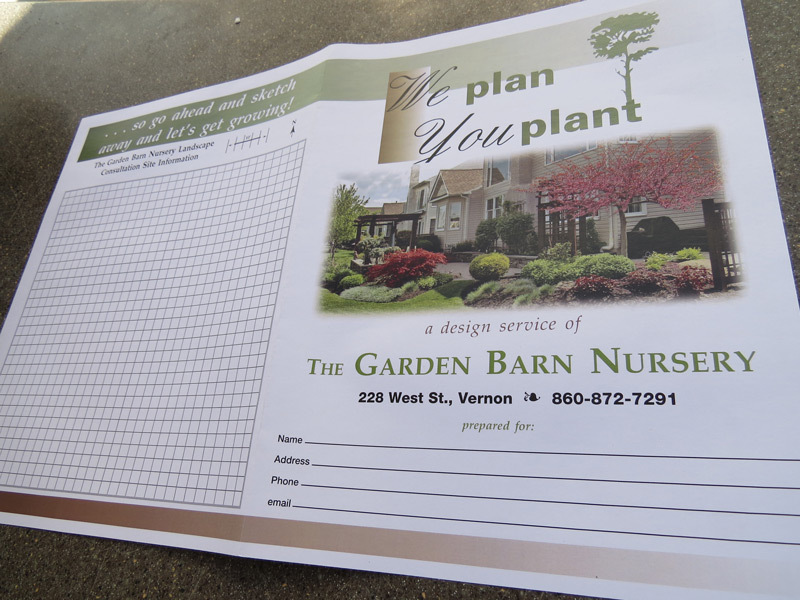 Click here for our "We Plan, You Plant" pamphlet. If you are looking for us to design and install your landscape, please read our Landscape Consultation page.